T.F. Noonan’s Pub Room The T.F. 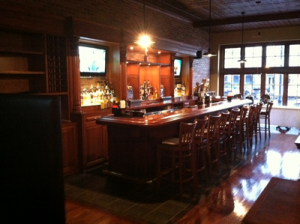 Noonan’s pub room is a private bar suited for any occasion from business meetings, presentations, showers, birthdays, reunions, memorials and more. To inquire about availability please call (845) 735-6427. To reserve the room, we require a guarantee of 25 people (Monday thru Thursday) and 40 people (Friday, Saturday and Sunday). $250 non-refundable deposit is required to reserve the room. Must use the in-house caterer. Contact us for any more information you have.